It’s an incredibly exciting time to be a professional officiant and to work with engaged couples as they plan their weddings. Never before has there been such an emphasis on creating unique, meaningful celebrations of marriage – whether it’s an intimate elopement ceremony or a grand gala with hundreds of guests. Cultural norms are changing around the world, and attitudes about marriage are shifting toward a world in which love, in all its forms, takes precedent over existing customs and long-held beliefs. The wedding ceremony, once the exclusive domain of religious institutions, still holds a much-needed place in our global society as a powerful symbolic ritual. 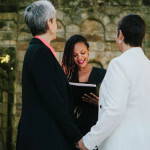 As tradition gives way to more personal affirmations of love and commitment, the need for professional officiants who can bridge the gap between religious and cultural traditions and personal expression has never been greater. It was in this spirit that the International Association of Professional Wedding Officiants was created – to provide professional standards, support, guidance, and community for officiants all over the world, regardless of faith or tradition. Our goal is simple: To promote the cause of professional officiants around the globe, and support our members’ careers with education and resources from the leading voices in our field. With the rise in popularity of the professional officiant, couples are realizing that they have choices when it comes to making their ceremony just as personalized and meaningful as the rest of their big day. Couples may still choose to have a friend or family member perform their wedding ceremony, but the difference between an amateur and a professional officiant will only become more clear as our organization, and our profession, gains recognition. The skill and expertise that a professional officiant can bring to the creation and performance of a ceremony elevates the experience for the couple and their guests. Everyone benefits from coming together in an organized way, and what we do together in this organization is in the spirit of cooperation over competition. 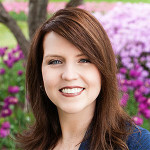 I put my trust and faith in an abundant universe in which there is more than enough for all, as John F. Kennedy often said, “A rising tide lifts all boats.” I truly believe that by supporting each other and connecting with other officiants across the globe we stand to learn, grow, evolve, and prosper, not only as individuals but as a whole. Thank you for joining us in this effort!